Found one file extension association related to Football Mogul and 1 file format developed specifically for use with Football Mogul. Developer / company: Sports Mogul Inc.
Football Mogul 2011 is one of the first games in the popular series. Play your favorite team in any year from 1970 to 2010. With stats for over 20,000 players and customizable rosters, the options are limitless. Add to that a lightning fast and accurate simulation engine, plus hundreds of improvements to the game engine, interface and artificial intelligence, and you have an addictive game that will keep you playing. 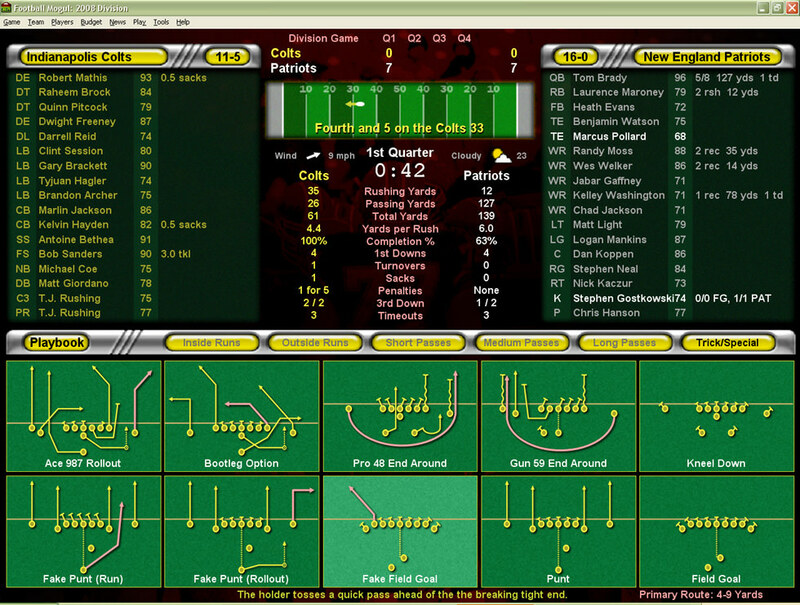 The Football Mogul software seems to be old or discontinued. If you need more information please contact the developers of Football Mogul (Sports Mogul Inc.), or check out their product website.